ENJOY YOUR LITTLE PARADISE IN SAN JOSE! Super clean, well maintained home with an entertainer's dream backyard! Spacious 4BR/2BA, flows into a stunning kitchen with gorgeous quartz counters and upgraded stainless steel appliances that will show well for many years to come. Remodeled bathrooms, new paint makes this home pop with grace and you'll appreciate the air conditioner too. Backyard includes a covered patio, gated and well maintained pool and pump recently renovated to enjoy, especially in the summer months! 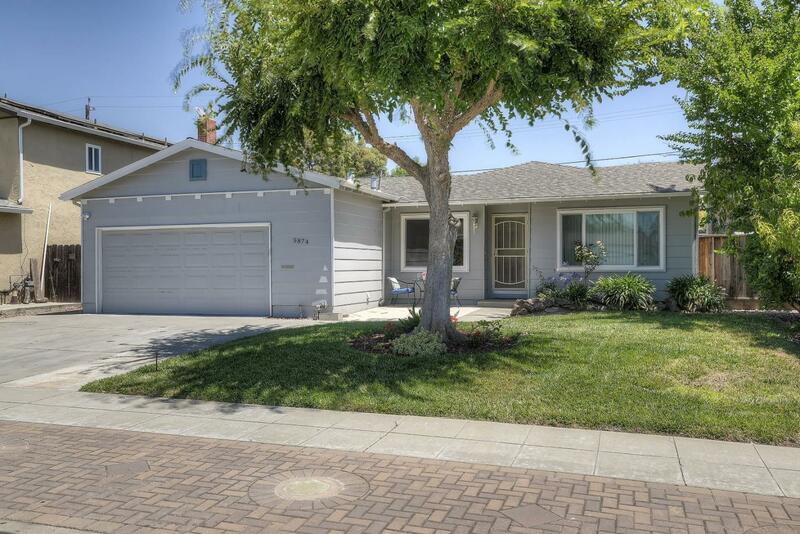 Close to good schools, shopping, dining, Westgate Oakridge Mall, 101, 87 and 85 freeways, light rail and more. Lots of natural light and nice flow makes this a winner so don't walk, run and check out this adorable home today. County records say 3BR so buyer to confirm permits and SF. Offers reviewed as received. This is literally the best deal in 95123 at this time!